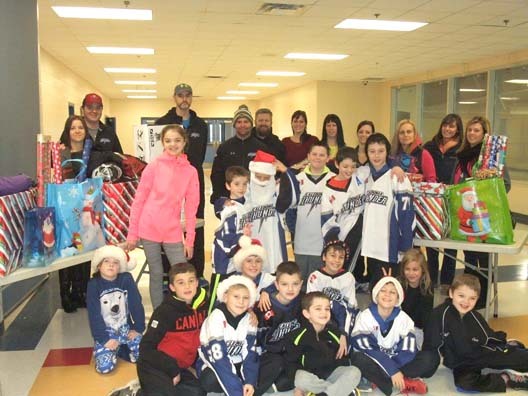 Two families will receive full sponsorship of toys, clothing and Christmas dinner by a sponsorship from the Caledonia Thunder Atoms AE hockey team. Fifteen young gentleman ages 9 and 10 along with their coaches, family and friends made two families in our area very happy this Christmas. Your generosity and kindness is greatly appreciated by the families as well as our agency. Special Thank You to Heather Letendre for taking the lead on these sponsorships.